Featuring a round design, which in turn offers you plenty of room for a larger candle than you would be able to fit in a traditional candle holder. Designed with a star theme, which makes it the perfect addition to your home if you're looking for bits and pieces to finish off your ideal design or simply because you want to bring something new into your personal haven. 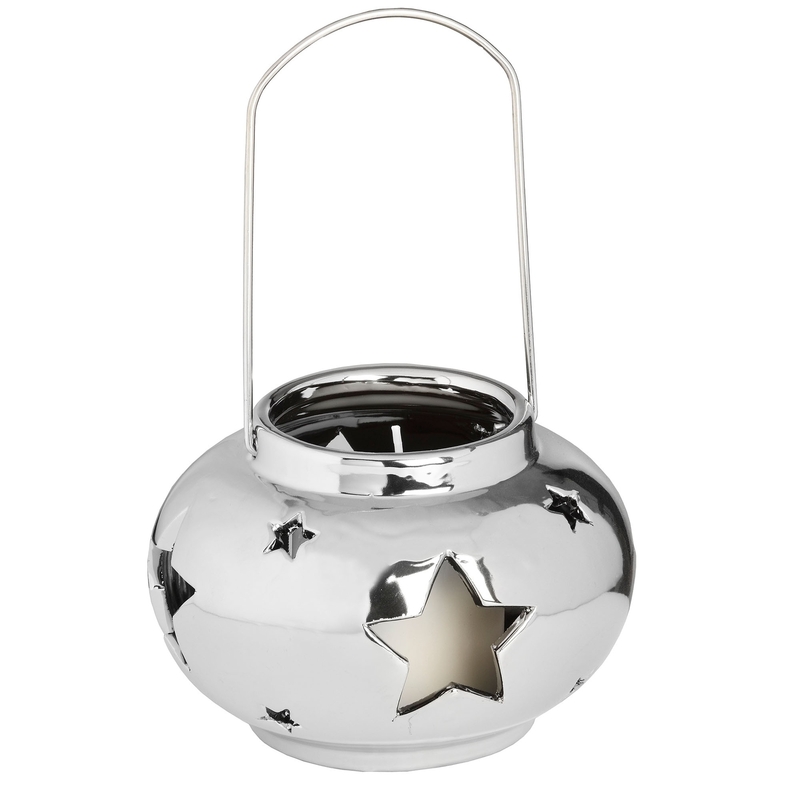 Due to the high qualitity of materials which have been used and the equal level of craftsmanship performed on this beautifuly piece of practical decor, the Round Star Silver Candle Holder will last for years to come.